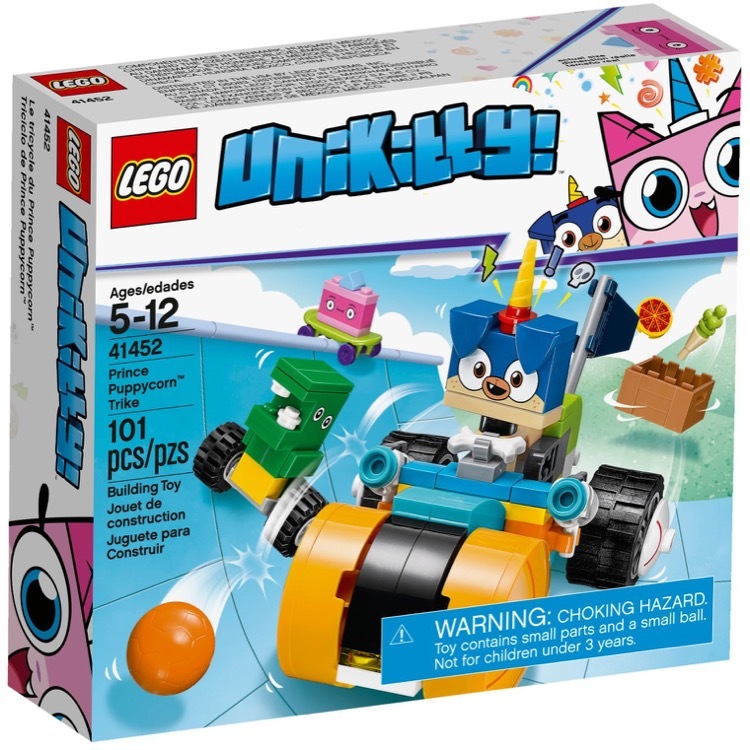 This is a BRAND NEW set of LEGO® Unikittyâ„¢ 41451 Unikitty Cloud Car from 2018. This set is still factory sealed and the box is in very good condition with minor shelf wear. 126 pieces and 3 buildable figures. 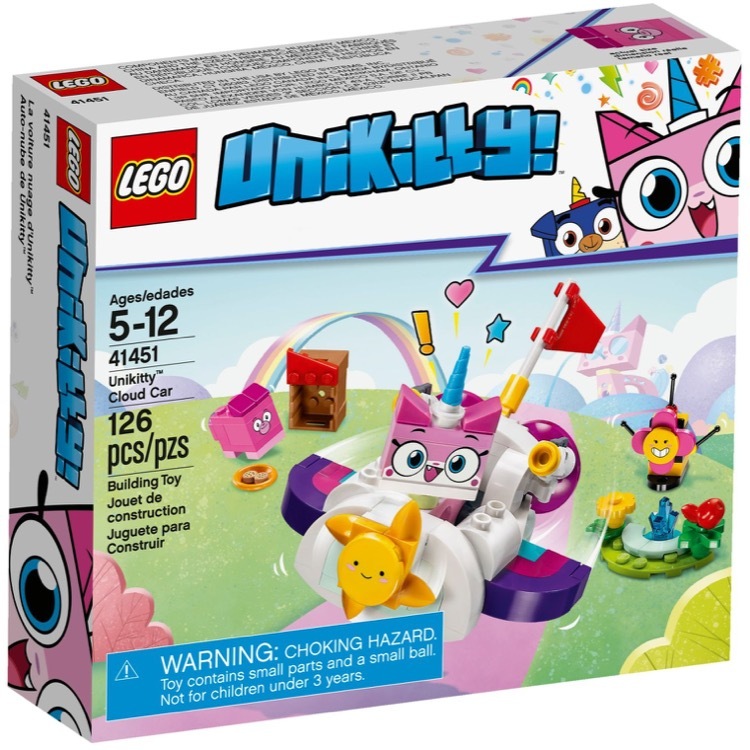 This is a BRAND NEW set of LEGO® Unikittyâ„¢ 41452 Prince Puppycorn Trike from 2018. This set is still factory sealed and the box is in very good condition with minor shelf wear. 101 pieces and 3 buildable figures. 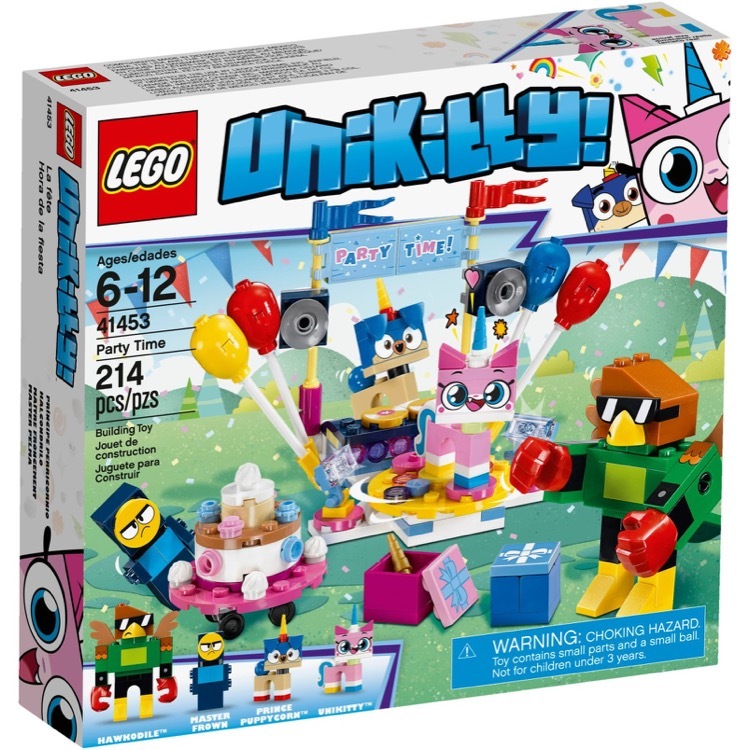 This is a BRAND NEW set of LEGO® Unikittyâ„¢ 41453 Party Time from 2018. This set is still factory sealed and the box is in very good condition with minor shelf wear. 214 pieces and 4 buildable figures. 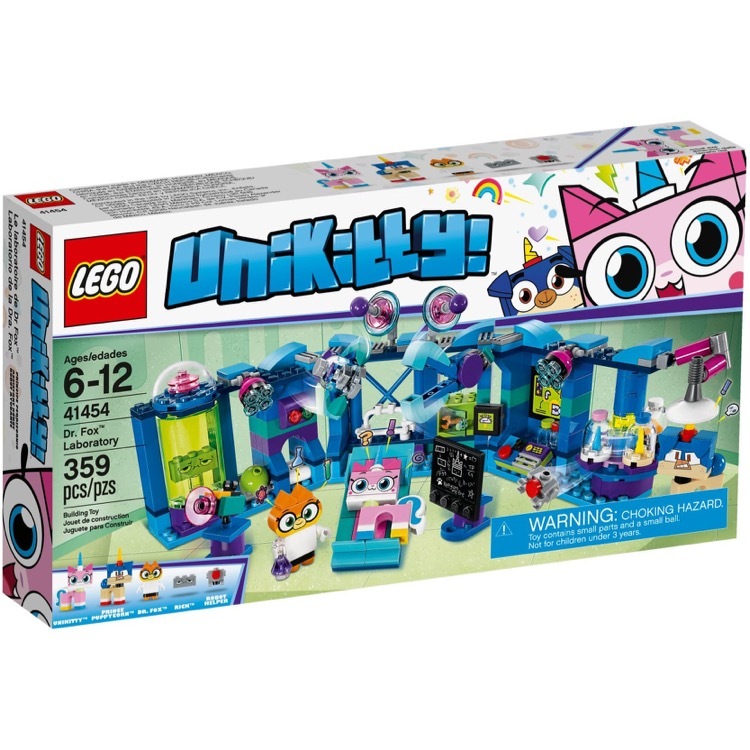 This is a BRAND NEW set of LEGO® Unikittyâ„¢ 41454 Dr. Fox Laboratory from 2018. This set is still factory sealed and the box is in very good condition with minor shelf wear. 359 pieces and 4 buildable figures. 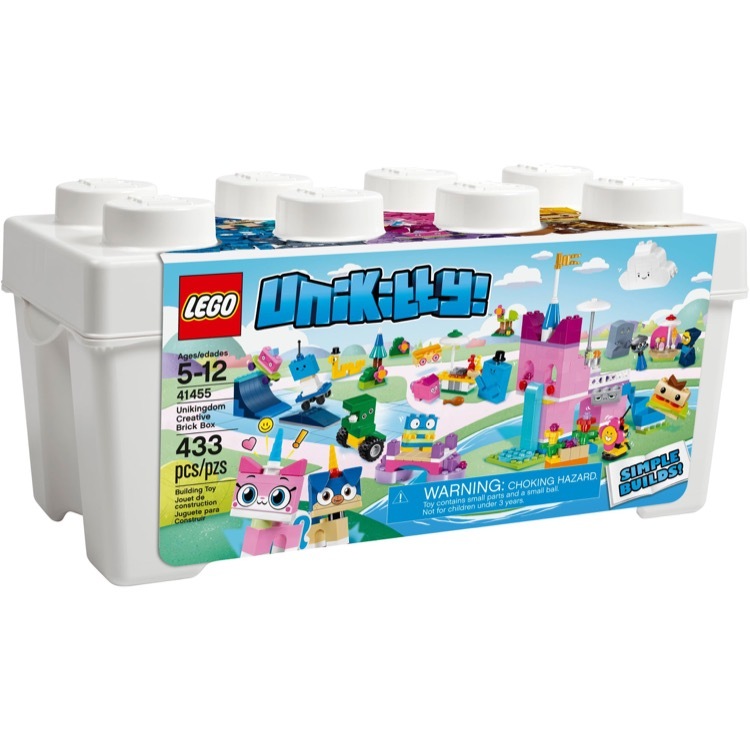 This is a BRAND NEW set of LEGO® Unikittyâ„¢ 41455 Unikingdom Creative Brick Box from 2018. This set is still factory sealed and the box is in very good condition with minor shelf wear. 433 pieces and 17 buildable figures.